I höstas släppte duon Maintain EP och har sedan dess turnerat runt både själva men även som förband till Daniel Adams-Ray. De bägge singlarna (Fallin’ och Do What’s On Your Mind feat. Timbuktu) har roterats på radio och mottagits väl i vårt avlånga land. I den nya singeln This Is It får vi följa de motsättningar som Professor P & Akilles slits mellan; livet på scen och extrajobben på sidan av för att klara hyran. Videon är producerad av den flitiga Critical för Basementality, som i sin tur aldrig verkar tröttna på den svenska hiphop-scenen. Utöver det är låten givetvis producerad av Professor P & Dj Akilles samt mastrad av den mästerliga Erik L.
Klicka här för att ladda hem “This Is It”! This entry was posted in Nyheter and tagged Critical, Daniel Adams-Ray, DJ Akilles, Erik L, maintain ep, Professor P, this is it on March 15, 2011 by Niklas. The video for Criticals “En Varning” featuring Dj Akilles (cuts) has now hit youtube! It’s a dope song produced by X:144 (US) who won Scribble Jams Producer Battle 2008. It is directed by Oliver Martin Henriquez (ODMH) for Concrete Steppa Pictures + intro by Dennis Näversköld who often is behind Criticals well produced videos. “En Varning” is taken from his CD / Vinyl album “Let’s Get It On” which was released earlier this year through Basementality. Buy “Let’s Get It On” at CDON, iTunes or Coulisse Records! This entry was posted in Nyheter and tagged Basementality, Concrete Steppa Pictures, Critical, Dennis Näversköld, Dj Akilees, Let's Get It On, Oliver Martin Henriquez, X:144 on July 5, 2009 by Niklas. 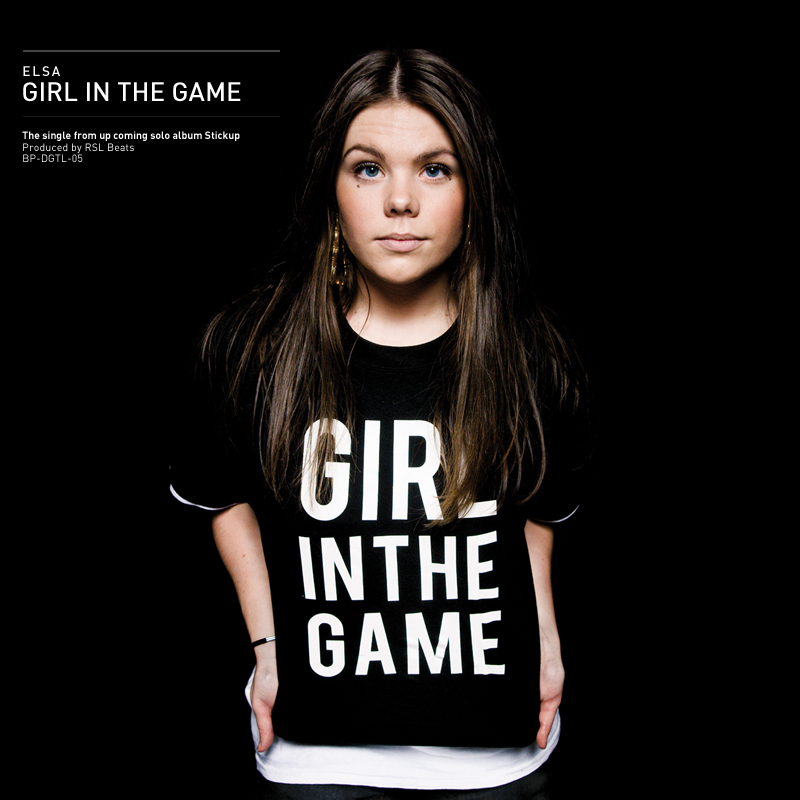 Elsa is a 20 year old rapper from Stockholm and she has recently released “Girl In The Game” which is the first single from her coming album “Stickup”. The album consists of productions from RSL Beats, Kryptonite, Yas (Goldmine), Duggud, Bum Bill + guest spots by Critical and Bashie. Elsa released the demo “Satisfaction (PrettyUgly)” 2,5 years ago which was well recieved by the audience as well as the press and radio. She played at numerous gigs all around Sweden the summer of 2007 til early 2008 and got airtime on both swedish and french radio. Since then she has feature several mixtapes and compilations (Best Of Swedish Groove for example) and now she is, as we said, about to release her record “Stickup”. “Girl In The Game” is produced by RSL Beats and recorded at Level 8 Studios where the whole record has been recorded as well. This entry was posted in Nyheter and tagged Bashie, Boiling Pandas, Bumbill, Critical, Duggud, Elsa, Girl In The Game, Goldmine, Kryptonite, Level 8 Studios, RSL Beats, Stickup, Yas on June 29, 2009 by Niklas.